Here is a Simplified Chinese language file for BS.PLAYER v2.35 free or pro! hope Enjoy my works! Simplified Chinese language file for BS.PLAYER 2.36.987! Simplified Chinese language file for BS.PLAYER 2.36.989! Simplified Chinese language file for BS.PLAYER 2.36.990! Simplified Chinese language file for BS.PLAYER 2.37.992! Simplified Chinese language file for BS.PLAYER 2.37.993! Could you please have a look at this thread? Yes, i have seen! 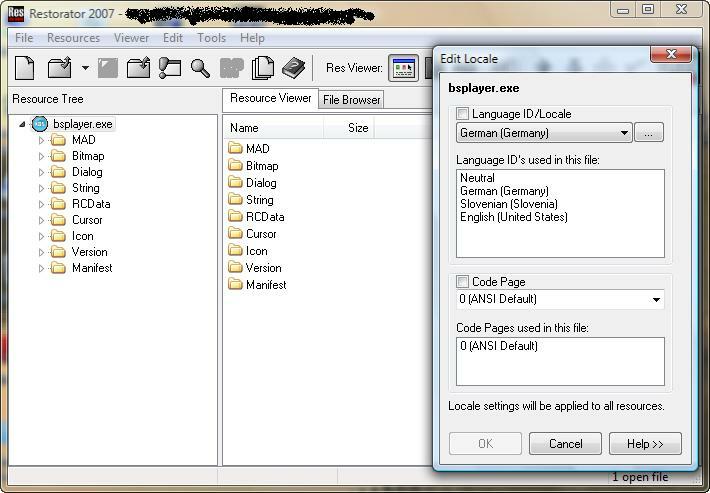 so i think this about bsplayer.exe use ansi code and lang id=germany? because i trans other player langfile too.but other player don't have this problem! Last edited by jiu; 8th April 2009 at 09:26 PM. Simplified Chinese language file for BS.PLAYER 2.40.995! Simplified Chinese language file for BS.PLAYER 2.40.996 Pro or Free! Simplified Chinese language file for BS.PLAYER 2.40.997 Pro or Free! Simplified Chinese language file for BS.PLAYER 2.42.1005 Pro or Free! Simplified Chinese language file for BS.PLAYER 2.42.1007 Pro or Free! Simplified Chinese language file for BS.PLAYER 2.44.1010 Pro or Free! Simplified Chinese language file for BS.PLAYER 2.50.1012 Pro or Free!